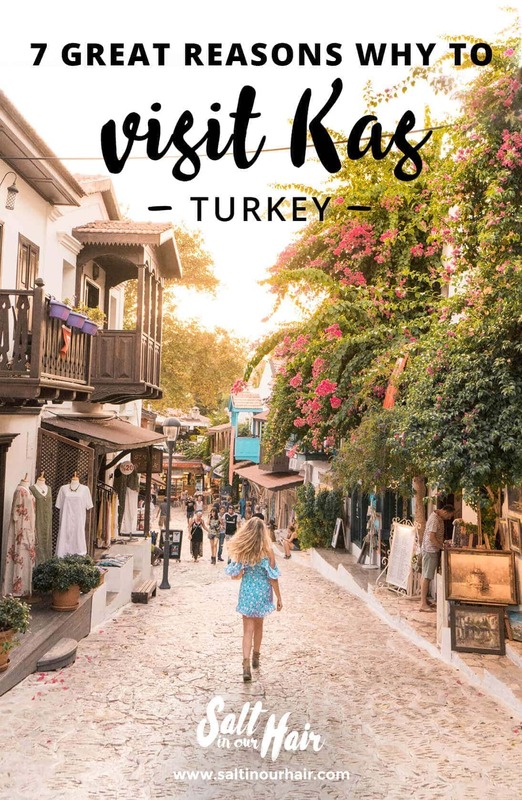 Kas is a very cute little town that shouldn’t be skipped on your road trip along Turkey’s turquoise coastline. It offers beautiful beaches, great food, shopping and a lot more. Kas is pronounced as Kash. 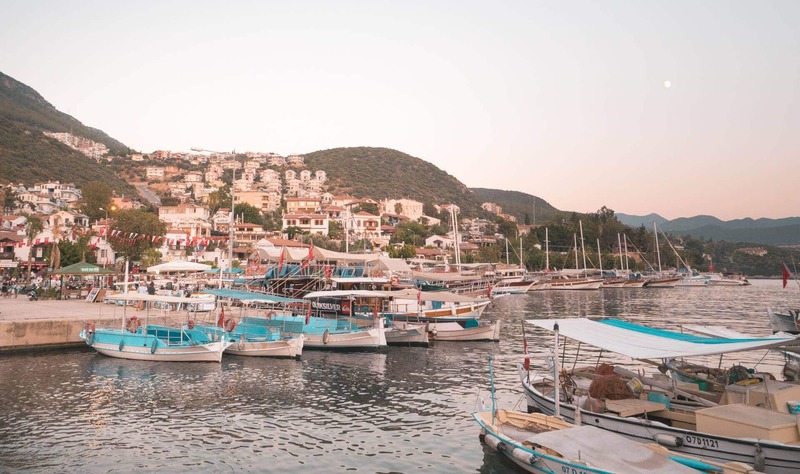 Read our guide to 7 reasons why you should visit Kas, Turkey. The streets of Kas are gorgeous. It is small and easily be explored in one or two nights during your Turkey Route. 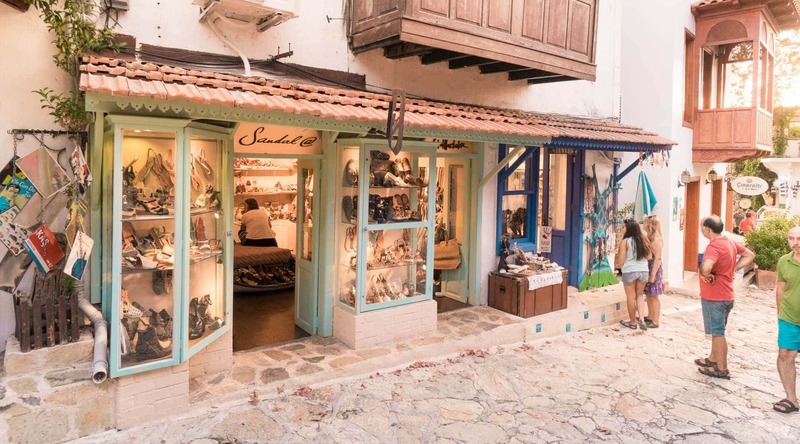 Spend a night here, wandering around, look inside a handicraft shop or have a bite at one of the great Turkish cuisines. Just a 30-min drive from Kas is one of the most beautiful beaches we’ve ever visited. Kaputas beach is popular for its unbelievable turquoise blue water and location. It’s super easy to get there if you have a motorbike or car. Make sure to be there either before 12 AM or after 4 PM to avoid the crowds. If you have an extra day in Kas, make sure to hike up the mountain for an incredible sunrise or sunset view all over the city. The hike itself starts at the main road and takes about 40-minutes. 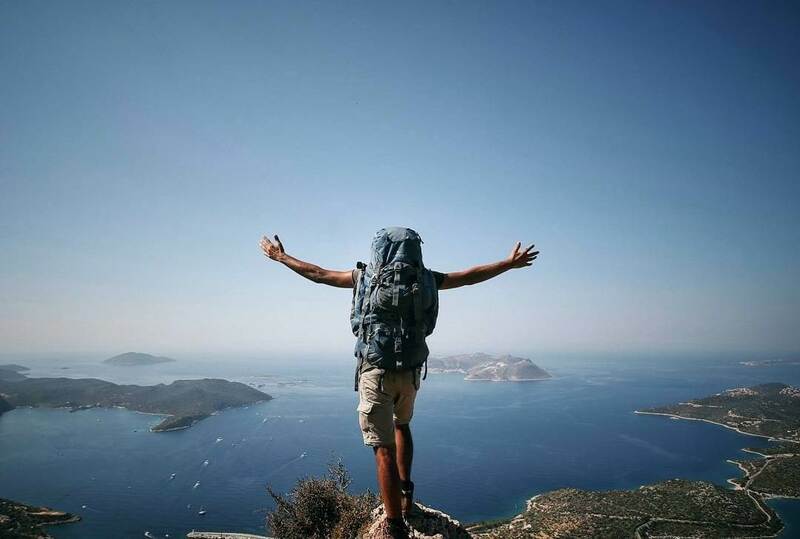 It is part of a much bigger hike route called the Lycian Way. You don’t have to be an expert to get up the mountain. Meis is an island of Greece and is just a 20-minute boat trip from Kas. Which makes it perfect for a day-trip. While we didn’t have the time to go there, we highly recommend you to do so. 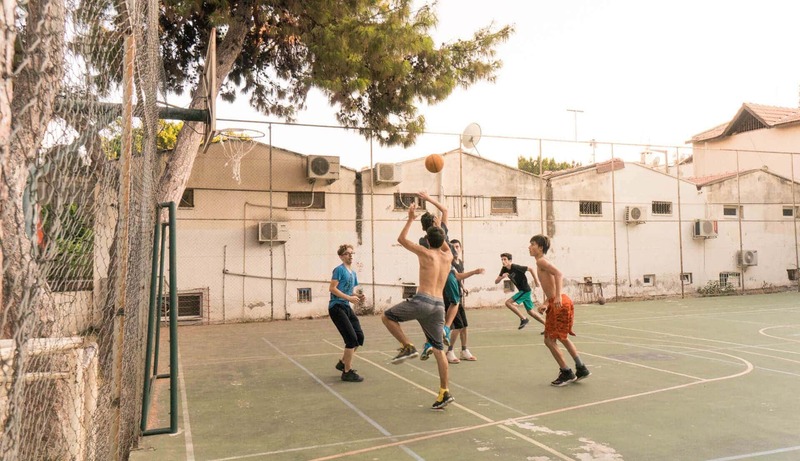 The day-trip to Meis is very popular and that isn’t without a reason. You can book your tickets in the city center. Tip: Don’t forget to bring your passport, you have to enter another country. Just a few minutes walking out of town is an old amphitheater. It is the best climbing up there during sunset or in the evening when it’s lit beautifully. It is open to the crowd and safe as well. The main square of Kas is a small area overlooking the harbor. It’s so lovely to just hang around here, watch the people enjoying their time and you enjoying your drink at one of the many terraces. 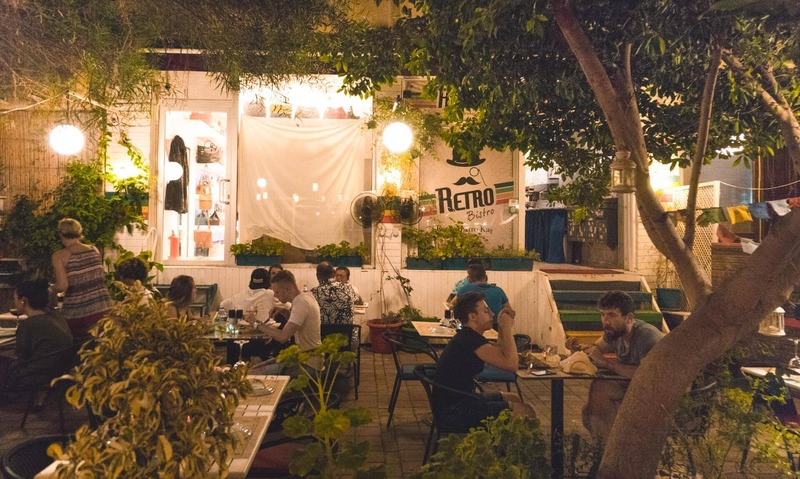 The best vegetarian in town, with delicious food and such a good atmosphere. Remember to make a reservation one day ahead. Most delicious burgers and handmade pasta in town, run by a lovely couple. The terrace is located in the center of Kas where the atmosphere is at its very best. In the evening the terrace is lit and it creates something magical. 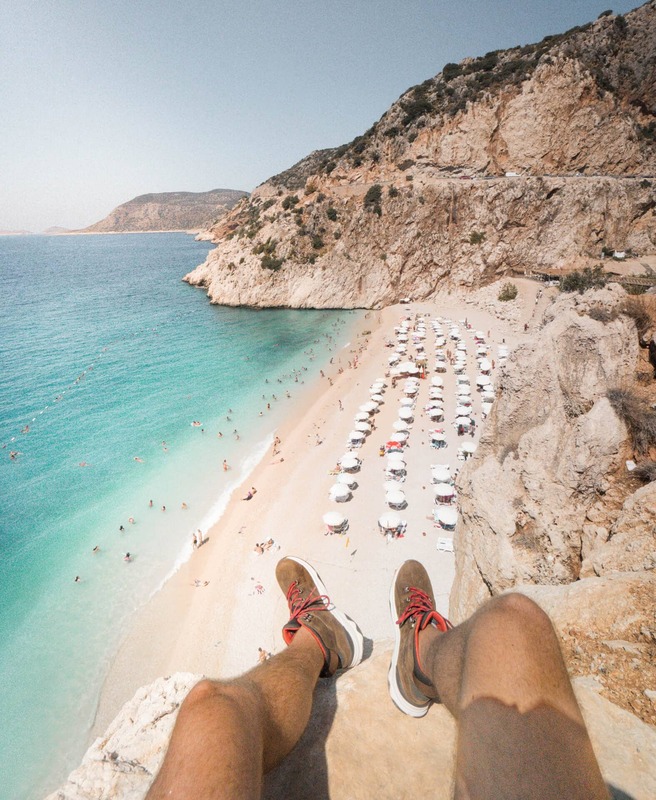 Paragliding is popular along the whole turquoise coastline of Turkey. We did this ourselves in Fethiye. 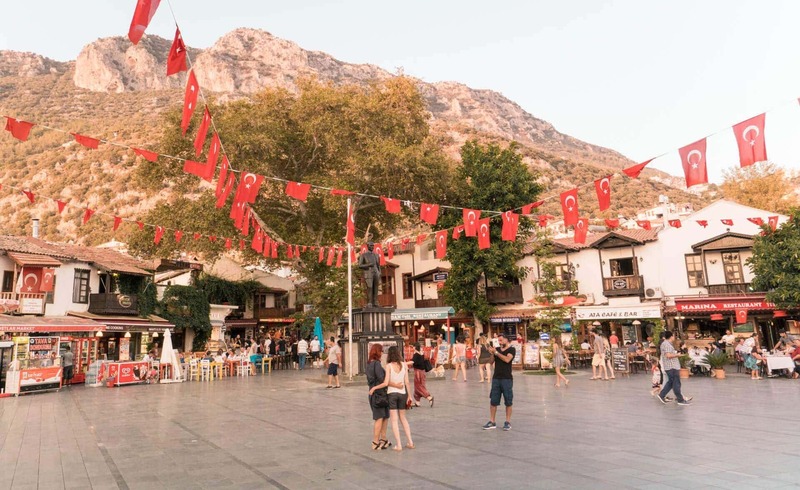 Kas is, like Fethiye, a popular place to tandem run of a mountain. While this isn’t a thing for everyone, we highly recommend to do it. The feeling of just floating through the air and the view is an experience you won’t forget that quickly. 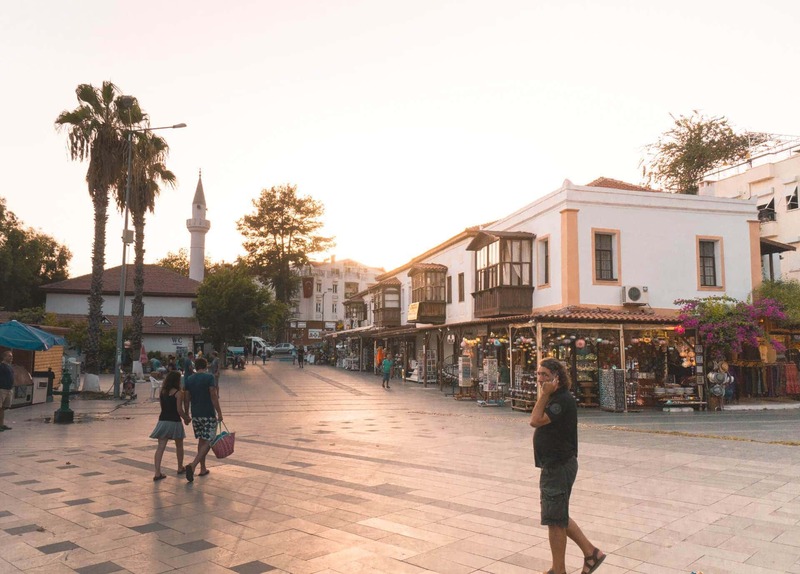 Kas, Turkey offers some great places to stay. 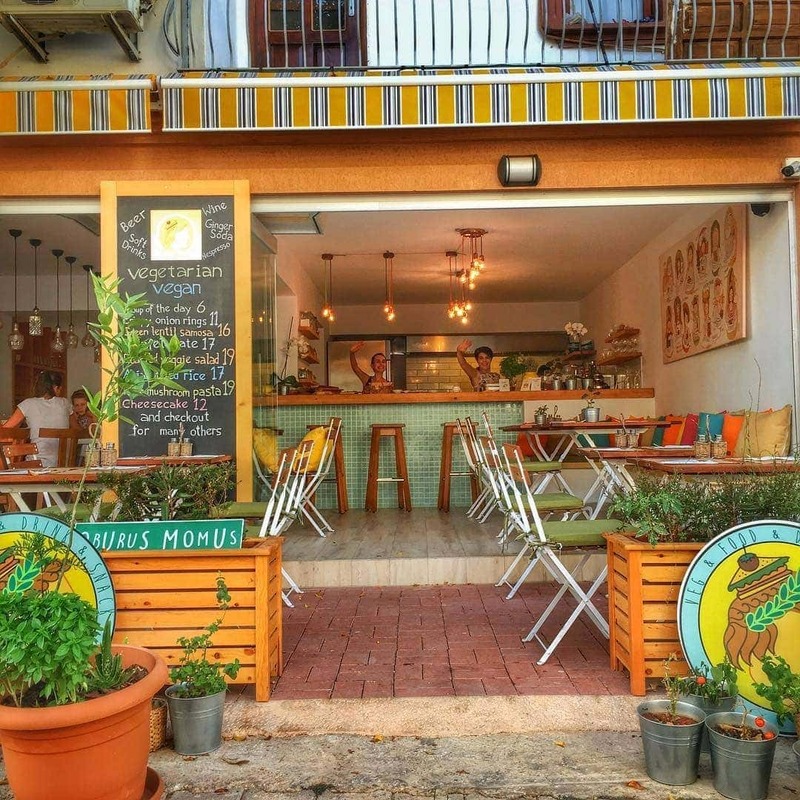 Find a great place to stay in Kas. Just outside of town, your own sea view and great food! Starting at $52 a night.